The Royal Centrepoint Motel is part of the historic Royal Hotel complex. The beautiful historic building was re-built in 1901 and early vice-regal patronage earned the use of the Royal Coat of Arms. The accommodation was refurbished in 1997, and was the 1997 winner of the QHA Awards of Excellence for Best Hotel/Resort Accommodation (less than 50 rooms). Situated right in the heart of Heritage City, Maryborough, the motel provides standard and superior accommodation. The motel is just metres from the historic Wharf Street precinct, Brolga Riverside Theatre and Convention Centre, Heritage Gateway and Bond Store Museum, the marina and the Mary River, and minutes only to major shopping centres, restaurants, nightclubs, karaoke bar, Return Services Leagues Club and pokies. The motel provides well-appointed studios, featuring ensuite, television and video, STD/IDD phone, facsimile and secretarial service, tea and coffee making facilities, refrigerator, clock radio, hairdryer, guest laundry and an iron/ironing board. 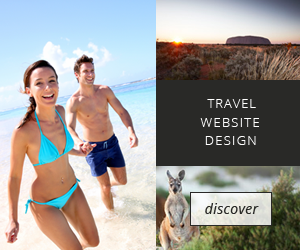 A tour desk is available, particularly for visits to Fraser Island and whale watching in season. A complimentary continental breakfast is available each morning. Floodlit security car parking is available at the back of the complex. Within the complex, motel guests have access to the adjacent bistro and bar, poker machines and gymnasium.